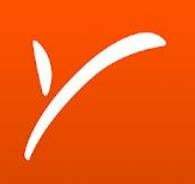 Hi, I have created payoneer account on 26 march, I need to get payment from fiverr, Payoneer asked me to verify the information. On 09 April I submitted my ID Card, but not getting any response till today(7 days passed). When I go to Live chat, it says there is a problem. Kindly help I need the issue to get solved. Hi @salman_ahmed366 . We have combined the two threads you have opened with this question in order to avoid any confusion when contacting you. If your account has not been approved it is likely due to some information being required for our approval team to complete the application. The best way to check this would be for you to call or email our support team directly. You can click here to view all the methods of contact that are available for you. If you send us an email someone should be back in contact with a few business days, but a phone call should help provide you with more immediate results.